Comparing builders quotes is impossible unless they are all quoting for exactly the same job. It's up to you to tell the builders exactly what you would like done. Find out how to make sure your builder quotes for everything you needs doing, and you get a complete and accurate quote for what you want to get done. We will help you understand from a builder's perspective why it can be hard to give a quote and how you can help him address this problem. Getting quotes can be a time consuming and laborious process, but it is an essential part of any project. Getting a quote from a builder or tradesman is not as easy as you might think. There are a number of reasons why it can be difficult to get a builder to quote for your job and here follows, are the most common. Sometimes, despite adverts saying "No job too small" the job you want doing is just not worth the builders time. Builders can usually see at a glance how long a job will take and how much the materials will cost. Travelling time is also a consideration – your house might take 30 minutes to get to, and 30 minutes back. The materials have to be ordered and picked up so that’s another hour. The builder now has to cover those two hours. The job you have planned may only take an hour but he has to charge you for 3 hours, not including fuel, insurance, tool costs and profit (which he does need to make to stay in business). A one hour job is going to cost you as much as a 6 hour job. The builder knows you are going to say no, because, in most cases, they will know you are not going to pay this, why would you or anyone else for that fact. Result – You don’t get a quote! This example is not as extreme as it may sound. A builder with one van, working on his own, has to own, carry, or have access to, (in 2014) about £2000 worth of tools. He also has to account for replacing these tools (regularly if he is busy). A handy point to remember is, if the builder tells you his hourly rate…. he will actually end up with only about 50% of this once all of his overheads have been paid. If he is charging you less than 3x the minimum wage then there is a good chance he has not made proper allowances for his overheads and this could spell trouble later in the project if the builder runs out of money. If you approach the situation differently and indicate to the builder that while you know its a small job, you are still aware that it costs him the same to come and go as if it would, were he there all day, he will realise you are a realist and be far more likely to come and do the little jobs for you. Just like the rest of us, builders hate to be told that their time is not valuable and while you are innocently trying to protect yourself by suggesting that his quote is a little over the top on such a small job; what is actually happening is that he feels insulted. Sounds very "deep" we know, but put yourself in the builders position, what would you think in this situation? Before you even get to the point of getting quotes there is a lot of work that you have to do. You need to be prepared and know, as best you can, what the work is that you want done. You must, at the very least, be able to explain to the builder what your desired outcome is. You need to have a very clear picture in your head of what you would like to end up with. Of course you are not going to know exactly how it will be achieved but once you have explained your desired outcome to the builders, get them to tell you how it will be done. This way you can make notes and compare the builders suggested method to others who may be quoting. Make sure you then have a list of everything you want the builder to do, including tidying up, and ask them to provide a quote based on that list. You might have a perfectly good builder who is happy to give you a quote for the work that you require at a price that you are happy with. They might come highly recommended and you may personally like them and trust them. Why waste time getting quotations from other builders or tradesmen? There is nothing to say you have you have to get quotes at all. The building trade is unregulated and it is your home (probably the most expensive thing you will ever purchase), so it is worth a little shopping around to make sure you have made the right decision. There will be many more benefits to preparing for meeting your builders, particularly for specialist projects. Far too many to cover exhaustively here! Suffice to say, we feel that the benefits far outweigh the time it will take and effort that you will put in will pay dividends in the long run. Clearly there is a judgement call to be made about the number of quotations that you get. This will depend on the size of the job (we have already discussed small jobs) and whether you are comfortable with the builder or tradesman and the quotation they produce. In general, the larger or more complex the work, the more quotes that you should get. You should try and get a minimum of 3 if possible as this will give you enough exposure to get a good understanding of the differences and what you are being charged. Most importantly it is not just the amount of money involved that you need to know – It is what the builders are going to do for that money and, just as importantly,what they are not going to do! Once you have asked for a quotation, your builder or tradesman will either be able to give you a figure then and there, or will go away and price up the job. Which route will depend on the type of job being asked to quote for and its complexity. There are merits for both approaches so don’t be alarmed at either, but whichever way the builders quote you need to know what they are quoting for and, as already mentioned, what they are not quoting for. Do not get carried along by slick sales tactics. You need to make a carefully considered decision so give yourself time to think it over. Make sure you have a contract in place which covers all of the work. A basic building contract can be downloaded from a few places on the web, but obviously we think ours in the best! You can download our free Desired Outcome Contract here. 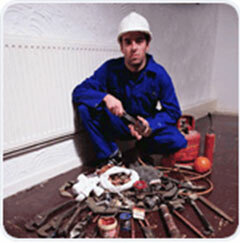 There are many companies who offer a "Find a Tradesman" service on the web. However vetted a website says they have been, it is still really important to check out references. Do not rely on others to take responsibility for the trades-people you employ. Find out more about how tradesmen get introduced to work online at our project about lead generation. Make Sure You Are Paying The Right Price. Look At Land Quotes Here. Are Your Builders Covered By Insurance?